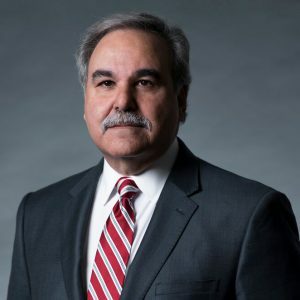 Dennis Pantazis is a member of the American Bar Association, Alabama State Bar; American Association for Justice; Alabama Association for Justice; and the Birmingham Bar. In addition, Dennis has been rated by Martindale Hubbell at their highest rating (AV) for over 15 years; since 2009, has been listed as one of the “Top Lawyers” within the greater Birmingham area (B-metro, the Magazine of Metro Birmingham Living); since 2009, has been selected as one of the Top Attorneys in Alabama (Birmingham Business Journal); since 2008, has been selected by Super Lawyers; and since 2014, has been selected as America’s Most Honored Professionals. Additionally, Dennis has been selected as one of The National Law Journal’s Top 500 Lawyers, Lawyers of Distinction 2018, and 2018 Best Lawyers.